Welcome to Happiness is Homemade Link Party! Thank you so much to everyone who shares their posts at Happiness is Homemade. We really appreciate you coming to our link party. We had some wonderful ideas linked up this past week and I’m thrilled to share my picks with you. A little bit DIY, a recipe and a couple of awesome party ideas ~ because summer is about partying, right? Please check out these featured posts, Pin and comment. And then jump right into our party. Can’t wait to see what you have been up too. Carol, from Bluesky at Home is our host this month and here are her features for the week! It’s the first weekend in June and summer is in full force. 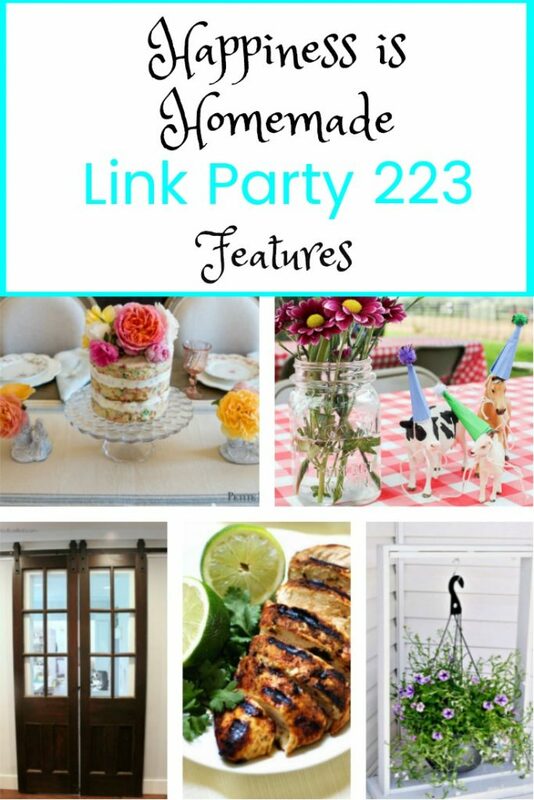 I’m so happy to have you visit our Happiness is Homemade Link Party 223. And I’m even happier to be your hostess this month. This is a busy month for our family: 3 family birthdays (including mine!! ), my older daughter’s anniversary, Father’s Day, and family visits. I’m sure you are soaking up the early days of summer, too. Summer is the time to party and there are so many themes to choose from. 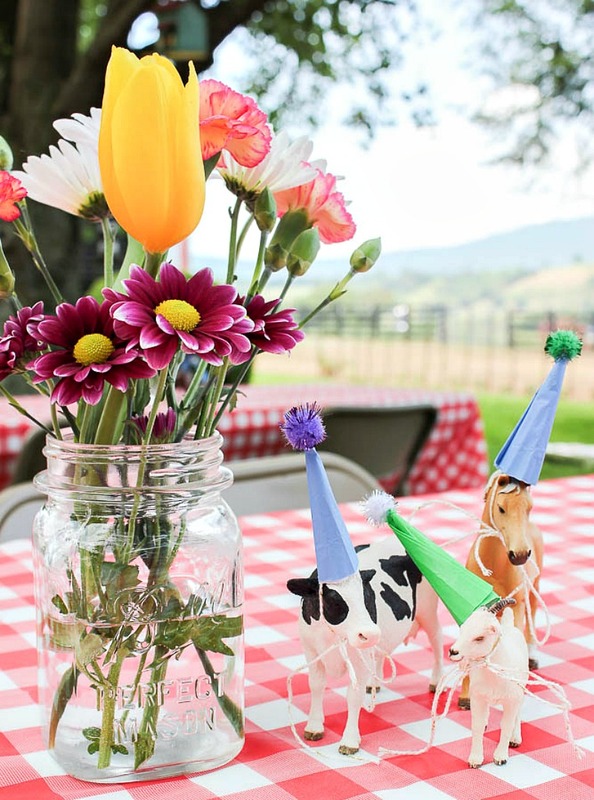 I love Jenna from Rain on a Tin Roof‘s idea for a Farmhouse Party for a child’s birthday, but I don’t think it has to be a birthday. Any occasion would be fun to bring out the party animals. 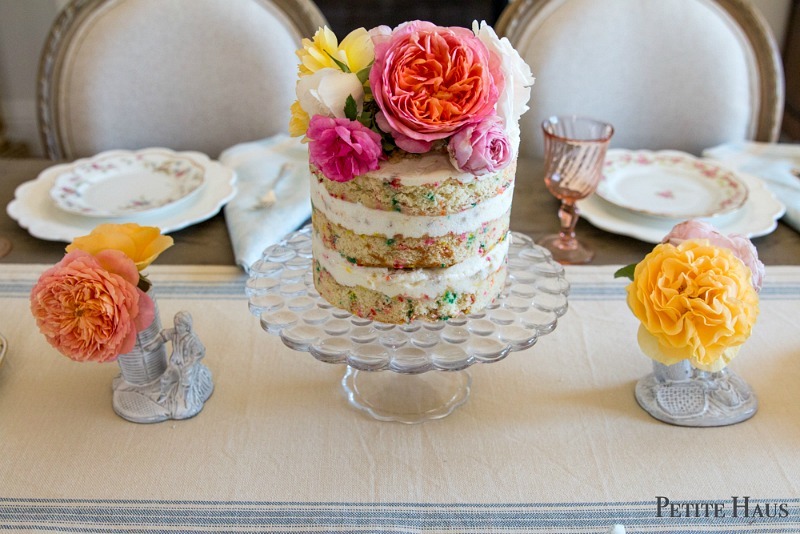 For a more adult, ladylike event, Angelina from Petite Haus has the perfect centerpieces and the prettiest cake for a Rose Tea Party. Whether you are 9 or 90, what girl wouldn’t want to dress up for this delightful get together celebrating roses? 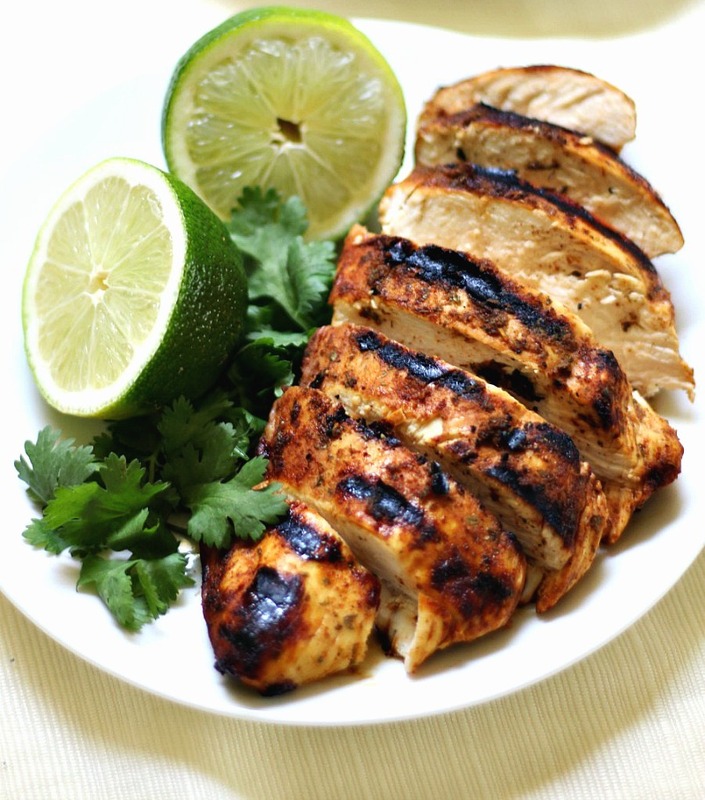 Whatever your dietary requirements or preferences, this delicious grilled chicken dish from Rebecca at Strength & Sunshine will make a great summertime main dish. I love the pairing of spice and citrus and this dish will be sure to please. Hanging baskets provide beautiful focal points in our gardens. What do you do when you don’t have a tree or fence to hang one on? 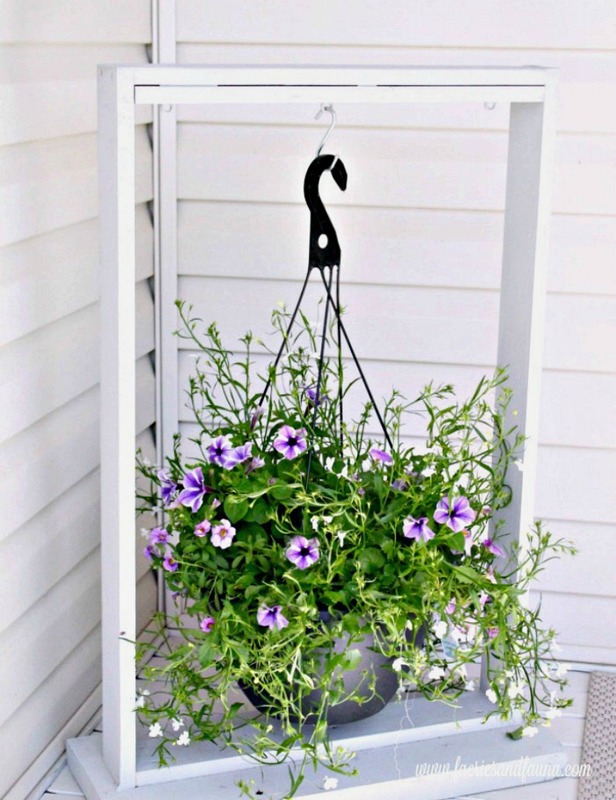 You build a hanging basket stand. That’s just what Leanna from Faeries & Fauna did and she shows us how to do it. I have a soft spot in my heart for antique doors that become barn doors because that’s exactly what I did last summer for our laundry room update. 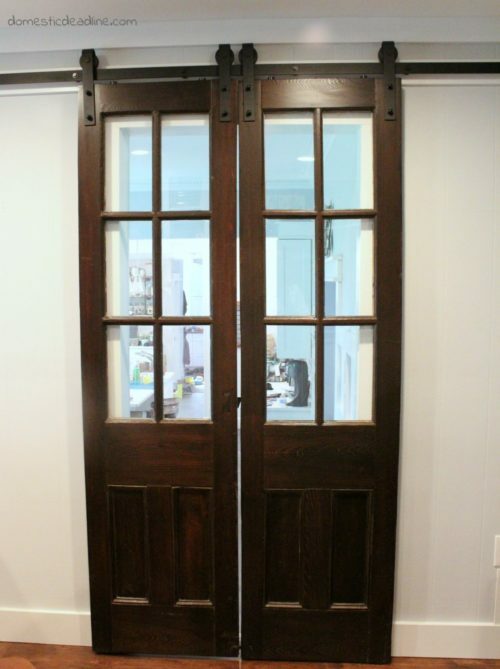 Emily from Domestic Deadline took 2 sets of antique doors and used them in beautiful ways in her home. Great home decor and DIY your home inspiration here. 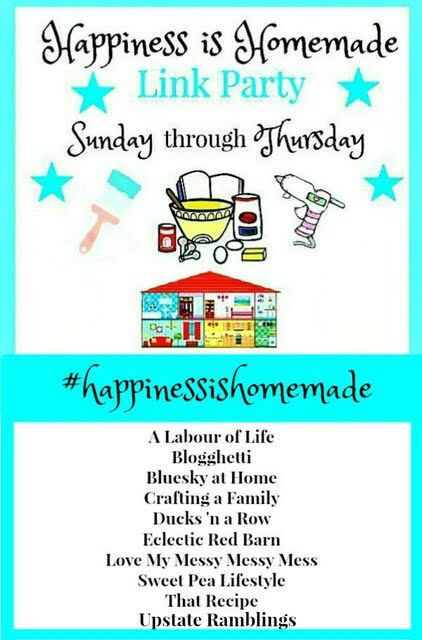 Please visit our featured bloggers and let them know that you saw their posts at Happiness is Homemade Link Party 223. Have a wonderful week and we’ll see you next week for more great features. Now, let’s get started now with this week’s party.While you are here, we’d love it if you would visit the blogs of our lovely co-hosts! Thank you so much for hosting! Have a lovely week! Thanks for hosting! Enjoy your evening!